A Marine, A Cop and A Comic! Dwayne Gill is a triple threat! Everyone has heard the old saying “Good Cop, Bad Cop? Well meet Funny Cop, Dwayne Gill. 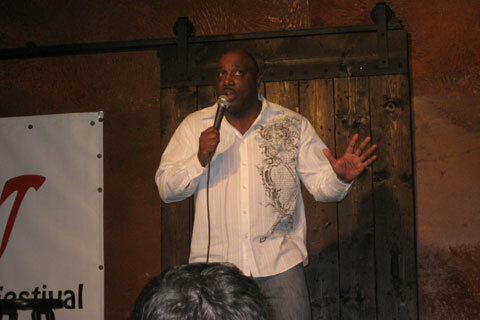 Dwayne has appeared at Caroline’s Comedy Club in New York City, The Comedy Connection in Boston and The Comedy Castle in Detroit just to name a few. He is also a very popular corporate comic, whose clean show can be tailored to fit any event. 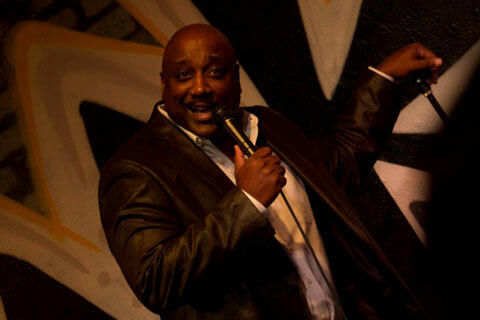 Feeling his job was way too serious for someone considered funny since birth; Dwayne found an outlet for his humor when he first stepped onto a comedy stage at the Ann Arbor Comedy Showcase in 1993. After only two more performances, he joined the ranks of professional comedians with his first paid booking at Gadzooks Comedy Club. A native of Detroit Michigan and a member of Kappa Alpha Psi Fraternity Inc., Dwayne is taking the comedy world by storm. Dwayne’s topics range from current events, men and women relationships to the crazy situations he’s encountered as a police officer. As an actor, Dwayne has appeared in the ABC crime drama Detroit 1-8-7, and the movie “Crave” He has also been a guest on the nationally syndicated “Bob and Tom” Radio show. Dwayne has opened for the Queen of Soul, Aretha Franklin and funny man Tim Allen. 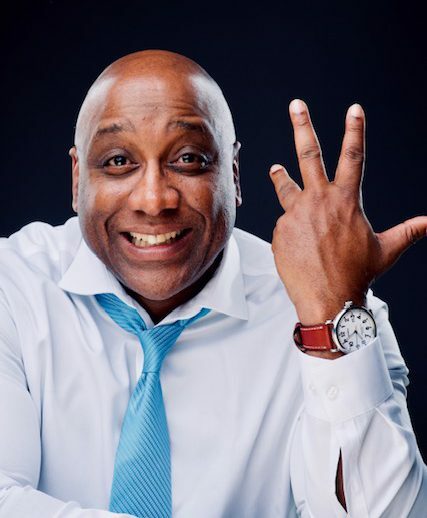 He has shared the stage with well-known comedians like Jim Norton, Kathleen Madigan and Last Comic Standing’s John Heffron, and Alonzo Bodden. Dwayne Gill is one of the fastest rising comics on the national scene today. 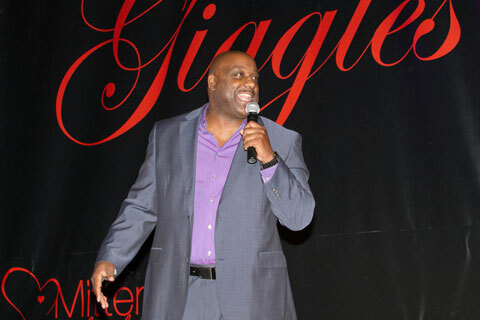 Dwayne was voted “Best of the Fest” at the San Luis Obispo Comedy Festival 2013, was the Wildcard Winner in the Stand Up its Miller Time National Comedy Contest with Kevin Hart 2012 and Best of the Midwest in Gilda’s Laughfest 2011. His new CD “Totally Doable” is available on ITunes, and has been featured on Sirius XM Radio Raw Dog 99. So if you have never met a cop with a sense of humor, then it’s obvious you haven’t met Dwayne! Enjoyed your act at the Ukrainian Cultural Center last night. You read the room well and I’m glad to see that you can find humor in our differences and enjoy the fact that there is diversity instead of pretending that there isn’t any. I grew up in NJ, where everybody had a nickname that they both hated and embraced. Life is way too short (especially for many in the room last night). Keep pushing your message. It serves as both a good lesson and a brilliant premise to jump into comedy from. Hope to see you at a comedy club soon. Dwayne was fantastic! Very funny and very professional. We had a great time with him…constant laughter. Thanks again! HI Dean, Dwayne Gill was crazy funny everyone really enjoyed him. Dan Currie was funny a good warm up but holy smokes Duane was totally awesome! We would like to book Dwayne around the end of January we will lock down a date and I will get back with you. Just wanted to say thank you for providing Dwayne Gill for our Comedy Night this past Saturday at the Elks Club in Alma! As the sponsor, the St. Louis Middle of the Mitten Association and Gratiot Area Chamber of Commerce were completely satisfied with the performance. Dwayne was there abour ½ hour ahead of time, reviewed with me what type of show we’d like, taking the audience into consideration, and his show was very well received. Afterwards he stuck around and talked to people in the audience and stayed up front with me awhile too while several other audience members stopped by to talk to him, tell him a joke, etc. He was really easy to work with and did a great set! People were laughing constantly and when I went around table to table later in the evening to talk to folks, I had 100% positive feedback. We had a wide variety of people there, from folks who go to comedy clubs a lot to a group of 16 from a local church, and they all had a blast. Again, we appreciate your services at Rusch and look forward to working with you in the future. We would recommend Dwayne any time!